Product prices and availability are accurate as of 2019-04-22 16:02:37 UTC and are subject to change. Any price and availability information displayed on http://www.amazon.com/ at the time of purchase will apply to the purchase of this product. 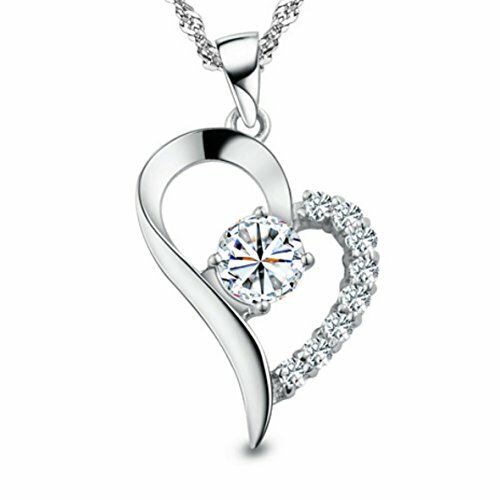 Made of solid sterling silver, this necklace contains a brilliant cut cubic zirconia stone and eight accents on the heart-shape pendant. 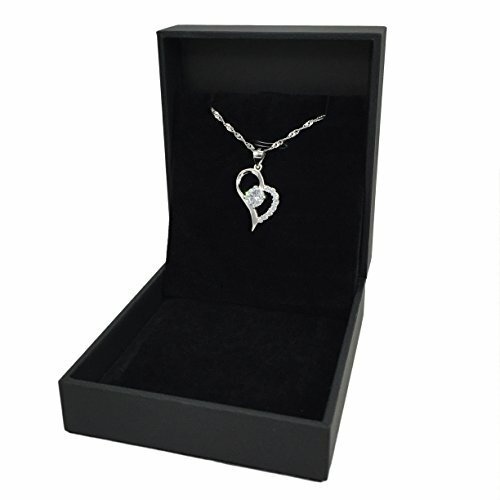 The heart resembling a "B", the necklace is particularly special for someone whose name starts with the letter or for anyone as a birthday gift. 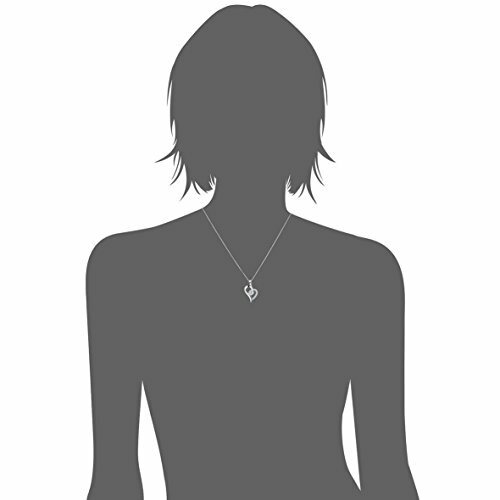 The chain is 18'' long, perfect length for showing off a V-neck and to highlight the face. Durable and long lasting, the chain won't break even when a baby pulls on it. 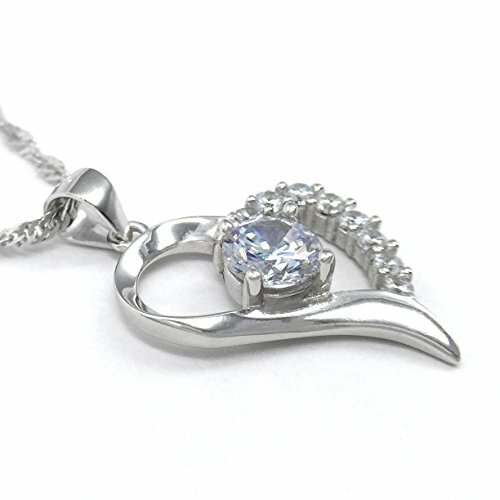 She'll love how the ripple chain looks and enjoy how it feels laying beautifully on the neck. Add the great necklace to your cart now. The moment she puts it on, she'll feel like the Belle of the Ball on her wedding day. 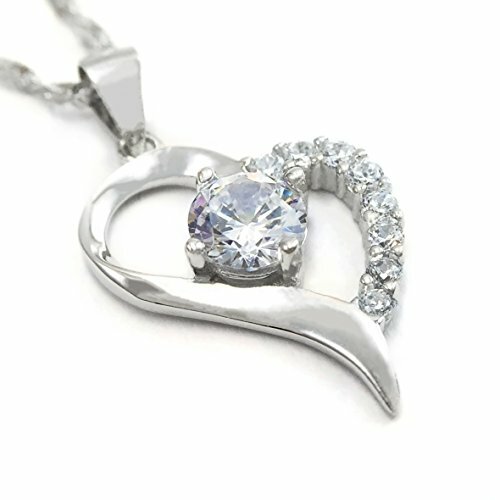 Pendant size: 0.6 inch WIDTH * 1.15 inch HEIGHT Singapore chain with lobster-claw clasp (recently upgraded) Length of the chain: 18 inch (45cm) Pendant and chain both are sterling silver, plated with rhodium (a member of the platinum group).